Today, Day 2, we are specifically focusing on items to keep you organized, in addition to highlighting pieces for the travelers! My thought is, you have to have a place to keep all of your adventures and vacations together, and you need a place to keep track of all of your dates and to-dos as well, correct? So today, we are looking at adventure and highlighting travels, planners, and organizers, with a reminder that love is truly all around us as well. We hope you love what you see! Each maker, artist, or designer has included links to their specific items so that you can purchase directly from them. Please remember to shop small this season, and we look forward to seeing you here for the next three days to celebrate! This beautiful gold or silver foil print is a reminder that love actually is all around - and the perfect addition to your home, office or gift for a treasured friend. The high-quality 8x10 print features gorgeous gold or silver flat foil professionally printed on a bright white cardstock paper. 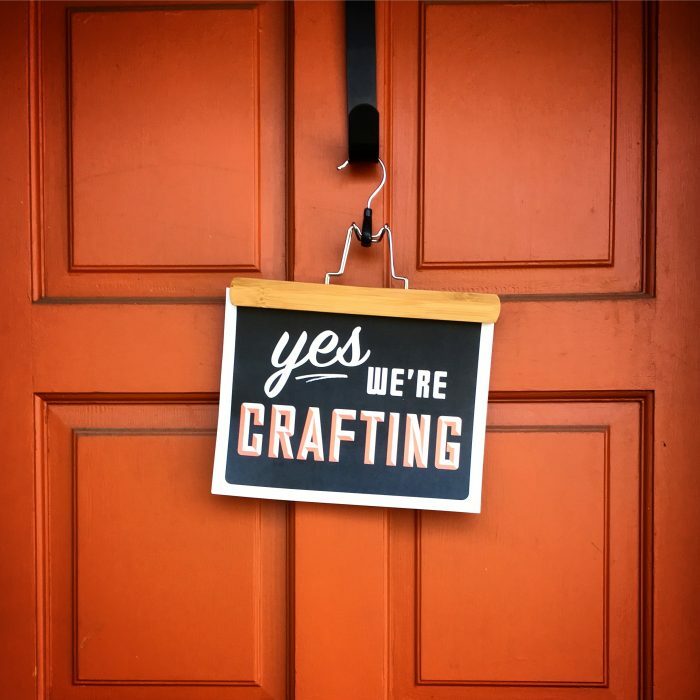 The perfect gift for the crafter, outdoorsy or just plain merry friend in your life - these fun signs are the perfect addition to any home to help let people know what's really a priority! CITY PRINTS: City Prints are a year-round favorite but make a perfect, personal gift for the holidays. Available in 8x10 or 11x14 sizes, these watercolor prints illustrate what locals love most about their hometowns and bring guaranteed warm, fuzzy feelings on christmas morning! CITY MUGS: A fan of the prints and ornaments, but want something a little more practical? You got it. City Mugs make perfect gifts- they're 11oz, dishwasher and microwave safe, and rep all of your favorite things in a full color, wraparound design! Available in over 350 different cities, these unique ceramic coffee mugs come in your choice of 11 oz or 15 oz sizes. Curious if we have your city? Just email amy@paperfinch.com! The perfect gift for your favorite traveler (who might just be YOU! ), our airport code accessory pouch comes two ways: As a flat pouch measuring 8.5 x 6 inches, or with a T-bottom (so it stands upright!) measuring 8.5 x 4.5 inches. Both versions have a nonwoven, laminate interior and a zipper closure. The 2018 Ashley Shelly Planner (Jan-Dec) is designed to help you create your very best days! This functional planner includes special features that guide you through organizing and staying inspired throughout the year. Hard, glossy cover, size 7.25″ X 9.25″ including binding. Available in 4 cover designs and 2 binding colors. Budgeting is fun, and the freedom it gives you is an amazing feeling. Lasts for 13 months on a monthly budget, 6 months on a bi-weekly budget, and 3 months on a weekly budget. Size 5"x8". Track you bills, savings, financial goals, purchase wish list and more with lots of notes pages. 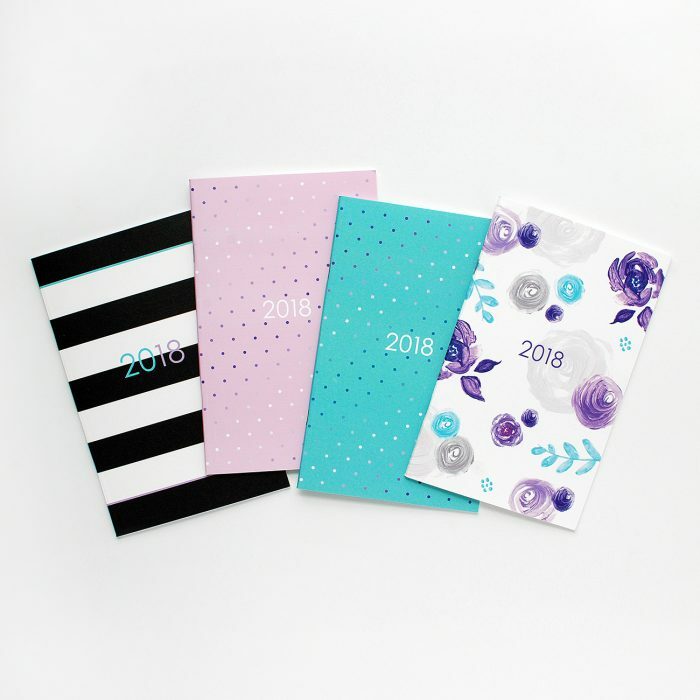 A perfect on-the-go 2018 monthly planner! Throw it in your handbag or put it in the front pocket of your signature Ashley Shelly Planner. This planner features our monthly overview pages with 2 lined notes pages behind each month for additional planning space. Available in 4 cover designs. Inside pages are the same for all cover designs. Size 5"x8". A charming Dutch invention, the perpetual calendar is a fun and beautiful way to keep track of important dates like birthdays, anniversaries, and special holidays. Since it’s printed on sturdy and luxurious card stock, you can reuse this calendar for years to come. The chalkboard design is a piece of art—hang it in a place you’ll see it every day, above your desk or on the family bulletin board! Also includes a handy birthstone and anniversary gift guide. We hope this got you into the holiday spirit! Tomorrow, join us for once more tomorrow for day three, where we're focusing on gifts for the creatives and the women in your life!